To place an order for any of our products, visit our convenient online store. If you prefer, feel free to call us at (804) 730-3890 or (804) 301-3021. We will be happy to assist you with your selection and take your order over the phone. 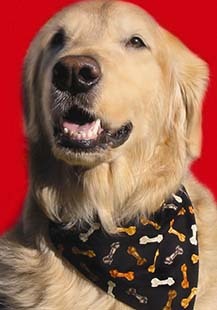 We sell collar bandanas, harnesses, harness mini skirts, belly bands, magnets, and T-shirts. Most of our products are made of 100% cotton, but we can also make them in more formal fabrics as well for an additional fee. Check the shop now page to see the selections we offer. If you desire other patterns or fabrics, please give us a call. We try to ship orders the same day as purchase but please allow several days for shipment since we also do both craft and pet shows and may be out of the shop.